Access to our rivers and streams is an integral part of what makes life in Montana so spectacular. 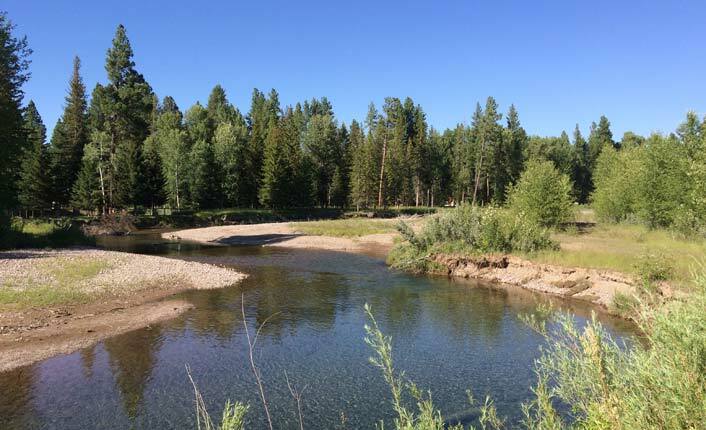 That’s why, in collaboration with the community of Lincoln and Prickly Pear Land Trust, Five Valleys is excited about our recent river access project: The Lincoln Community River Park. The park is located along the iconic Blackfoot River. Photo by Five Valleys staff. Less than a mile from the main drag of Lincoln flows the iconic Blackfoot River. Yet, the closest public access was four miles away. Longtime Lincoln resident Paul Roos told the Blackfoot Valley Dispatch this past summer that things were much different when he was a kid. Many community members felt the same, and a small working group began discussing a river park project in 2015. Lincoln Community River Park partners discussing the project. Photo by Five Valley staff. 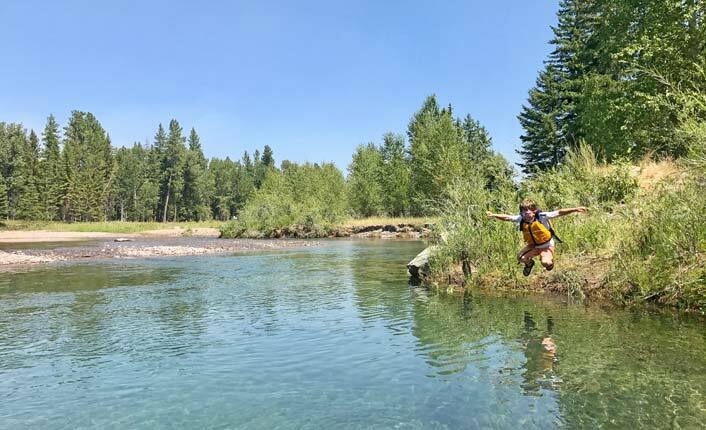 After discussions with Helena’s Prickly Pear Land Trust and Five Valleys, Roos purchased the 9.5-acre site and then sold it to Five Valleys for development into a public river park. The parcel, located just a mile from town, hugs the southern bank of the Blackfoot River, just below the Stemple Pass Road bridge. 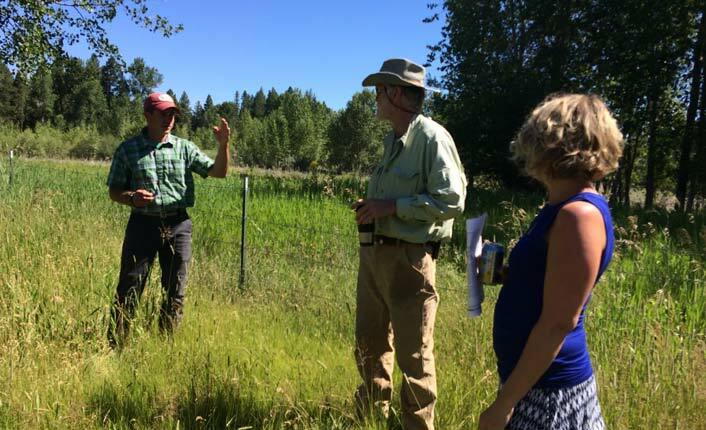 The project, the first of its kind for the community, was finalized in December 2016 with funding from the Lewis and Clark County Open Space Bond. Work to restore the land and develop the site into a quality public river park commenced in the summer of 2017, and is ongoing. With the help of the community and the Lincoln Community River Park Working Group, site has grown into a vibrant natural area, welcoming families, students and educators and nature enthusiasts alike. Swimming in the Blackfoot River at the Lincoln Community River Park. Photo by Five Valleys staff. Five Valleys is prepared to oversee management and development of the site until a more suitable long-term manager is selected. But one thing is certain: thanks to the perseverance and support of their community, Lincoln's kids again have access to their hometown river, and will continue to for generations to come.